My sewing machine was really on the go that month, April, 2015. That's for sure. 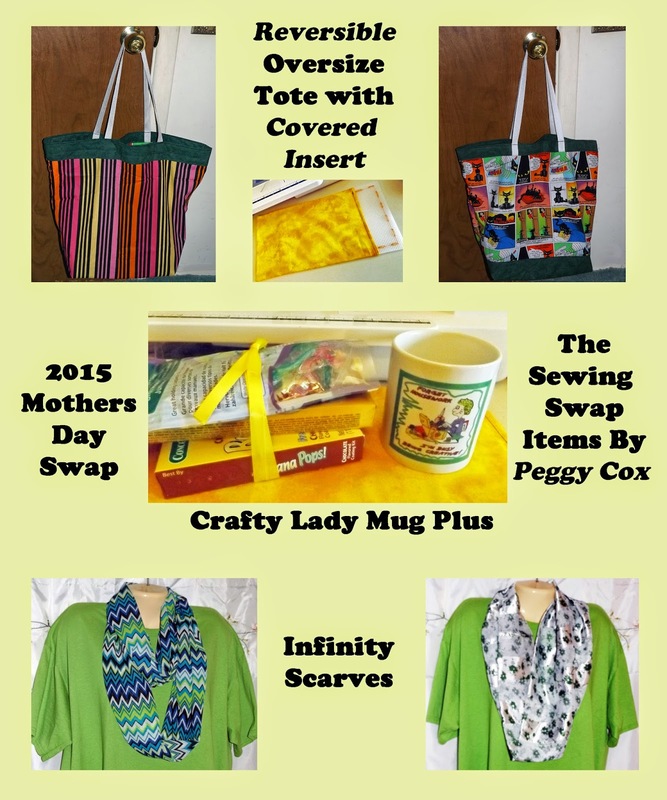 I joined another sewing group on Facebook called "The Sewing Swap." My first sewing project there was making 10 inch quilt squares which are known as the Hashtag Blocks. These were the first attempt to make such blocks. I was part of the Green Group which consisted of 13 people, which included myself. I was to send out 12 blocks, one each to the others in the group. These are the ones I made up. All 12 were all made out of the same fabrics. We were to use white backgrounds and any color of fabric for the #. I used a white fabric with white dots on it. They came out as 10 1/2 inches square. I trimmed each one down to 10 inches by cutting 1/4 inch from all 4 sides before sending them out. I put the fabric block on my cutting board to photograph it before trimming it down, to show its size beforehand. These are the squares I received in return from members of the green group. I cheated and used my scanner instead of photographing them individually. In Photoshop, I put the scanned blocks on a black background. I added another larger background, a magenta colored one, which looks like a deep pinkish border. I didn't put the blocks in any specific order. Just added them in the order I scanned them and uploaded them to the computer. 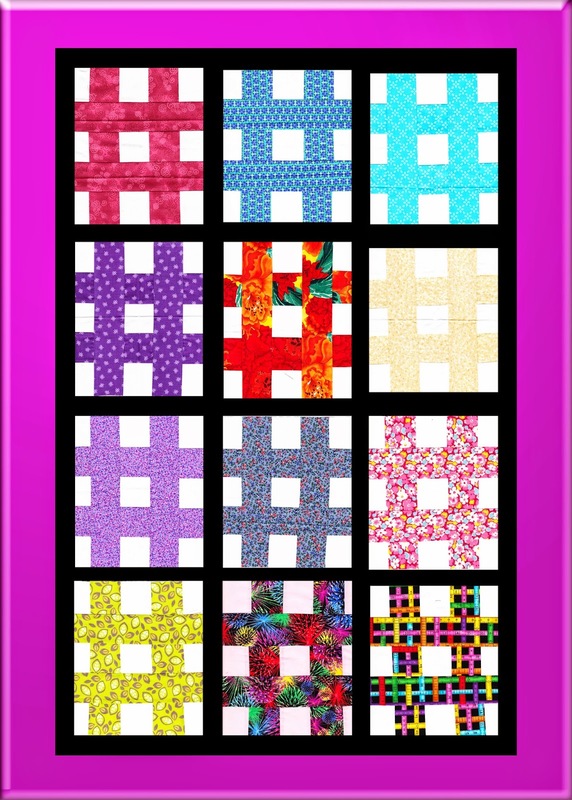 This gives me an idea of what it would look like if I were to make a quilt out of the 12 fabric blocks. Next April exchange in The Sewing Swap was pillowcases. Smaller groups for this swap. These are the 4 that I made up. Again, worked from my fabric stash. 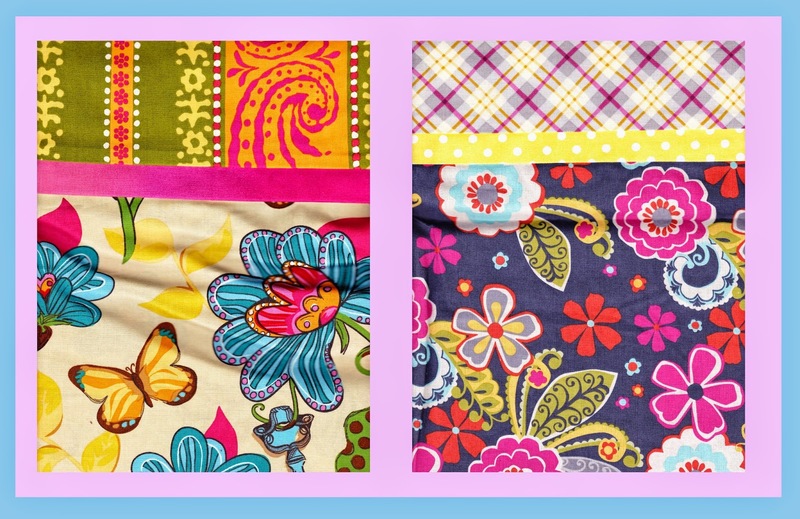 Was fun matching up fabrics from same for the pillowcases. The purple ones are not exactly identical. I reversed the fabrics for the top "cuff" and the middle fabric strip. They went to different recipients. The one with the ladybugs went to a sewest who has a daughter. Thought it might be slightly different than the flowered ones we were sending out, in honor of it being Spring. One of the ladybug prints has white flowers on it. These are two of the pillowcases I received in return. Still have to scan two more of them. Will do that at a later date. Closer to the end of the month was the Mothers Day Swap. For this one, we were just given one persons name to send a swap to. Played around with my photos of same in Photoshop, putting all of my outgoing items in same. Used my sewing machine for the oversized tote and the infinity scarves. Fabric stash fabrics used here, too. 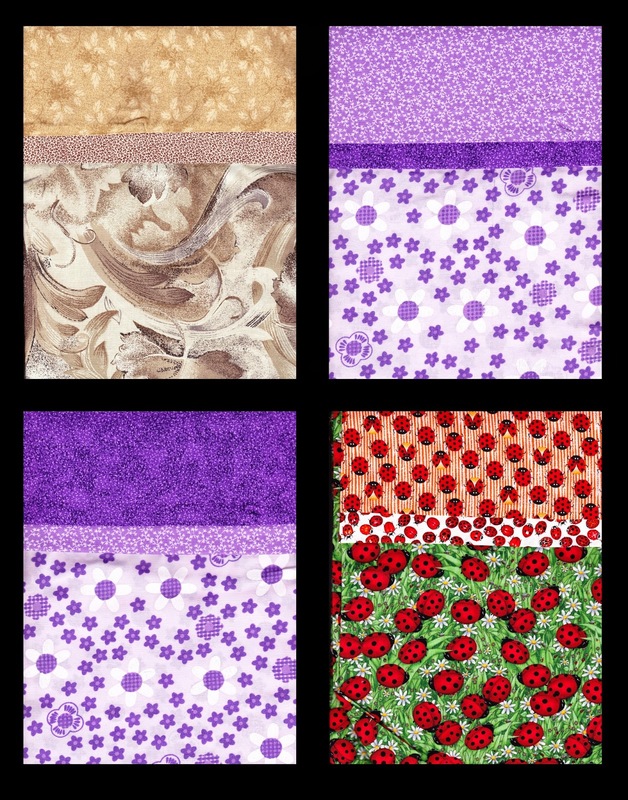 I started off with this comic strip fabric in mind for the tote. It is called The Skillful Cat. 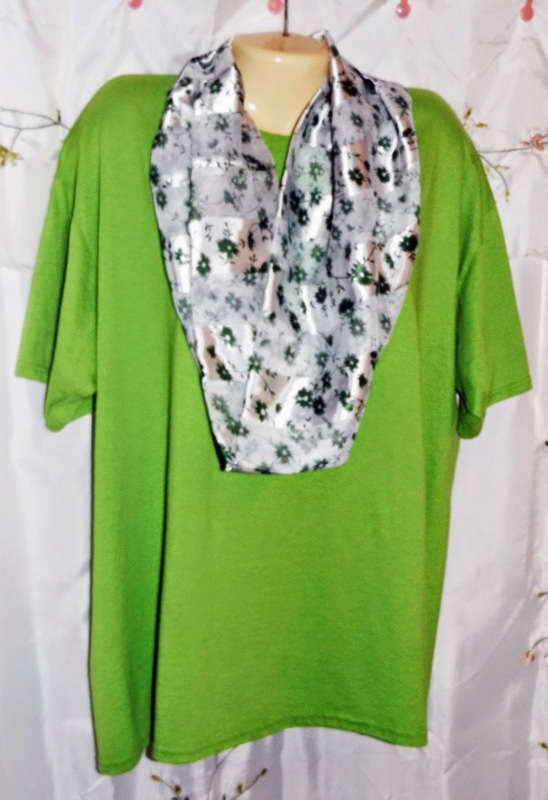 Used a dark green print for the top and bottom fabrics. Used white webbing for the straps, two thirty inch strips, which gives it a nice shoulder drop, if the recipient were to use it that way. 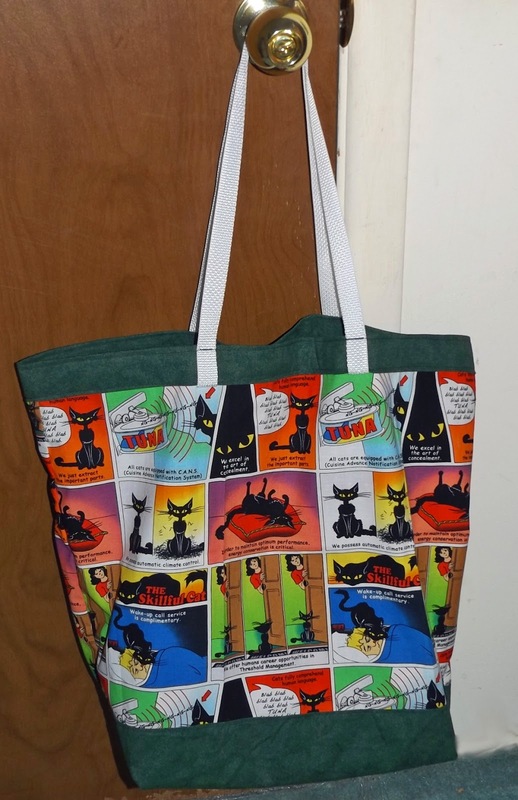 For the other side of the tote, I used a stripped fabric that sorta matches it and compliments the white webbed handles and the dark green trim. 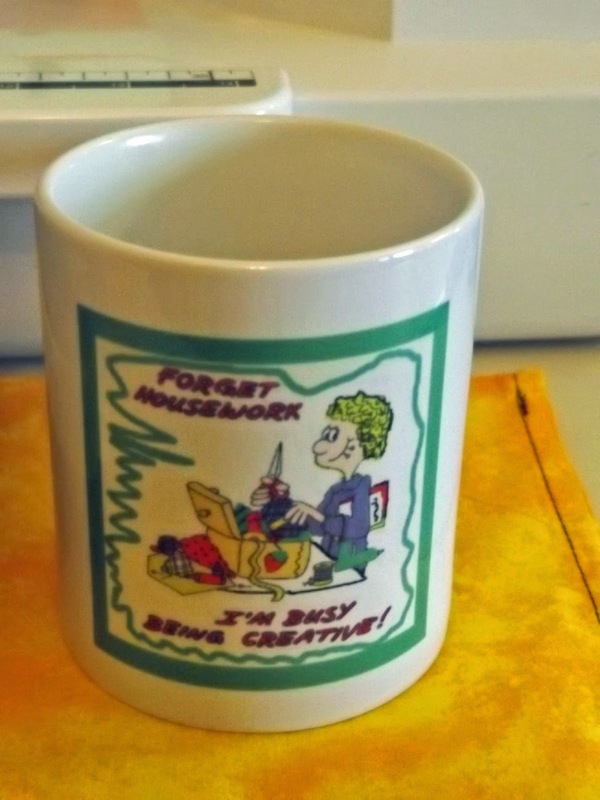 Also doesn't look bad with the cat cartoon print. I made up a bottom insert for the tote using two sheets of plastic canvas that I cut down to size and sewed together by hand with a ribbon, about an inch in from its borders. 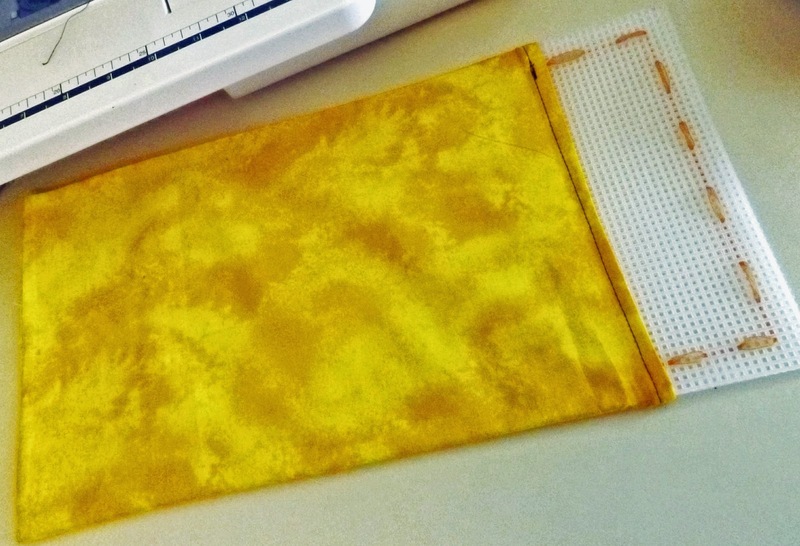 I covered it with a yellow Baltic fabric. Left one end open so the sleeve can be removed and washed, if necessary. This oversized tote can also be used as a grocery shopping bag. 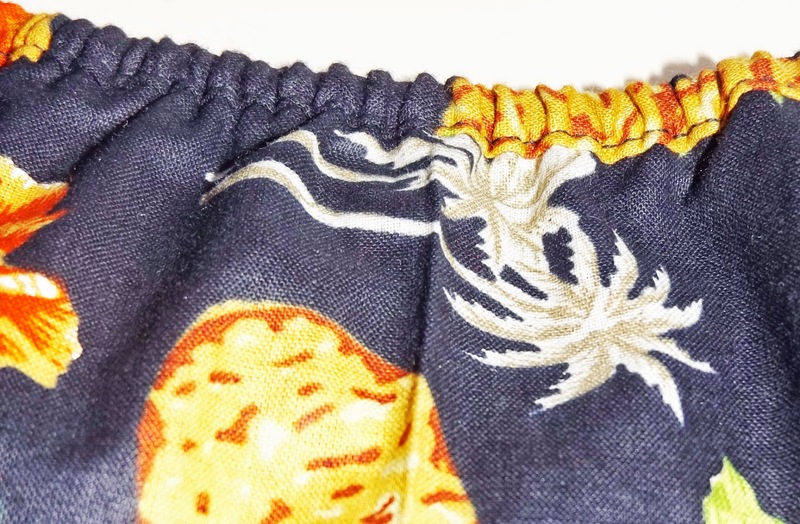 The bottom insert is 12 inches long by 8 inches wide, which fits snugly in the bottom inside of the tote. Across the top of the tote, it measures about 21 inches across, with its height being about 19 inches. No pattern used. Just made the tote up as I went along. 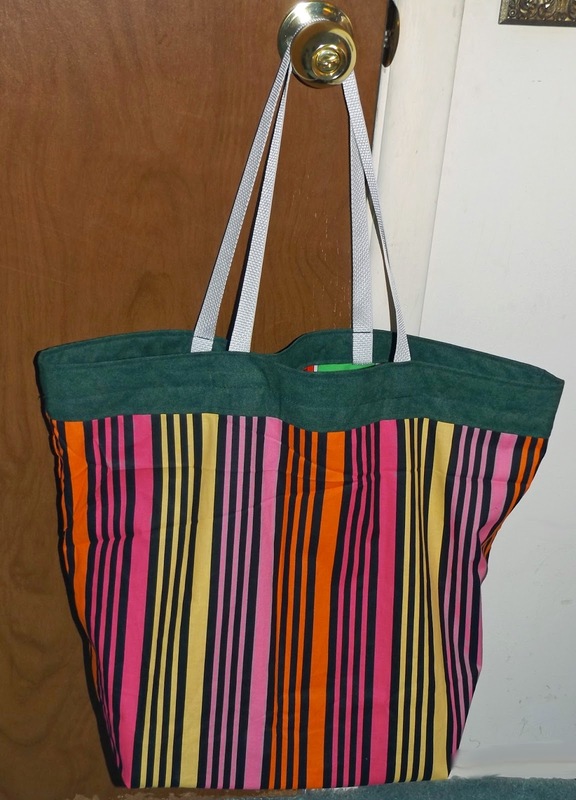 Have made many of these oversized totes up in the past, pretty much the same way, for grocery shopping totes. 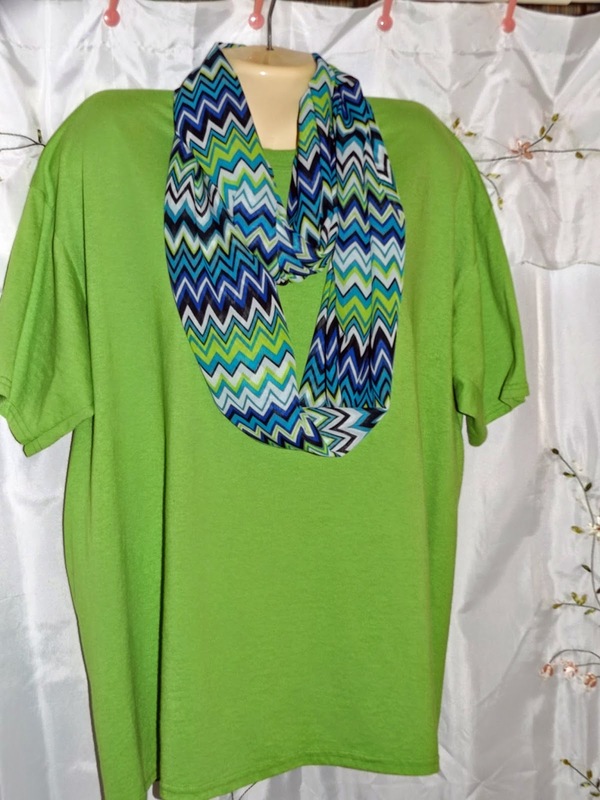 Made up two Infinity scarves. Several months earlier, cut up 2 yards of fabric to make up 4 of the Infinity Scarves. Two of them went elsewhere. This one, the third one, I made up in April and it went into this swap. 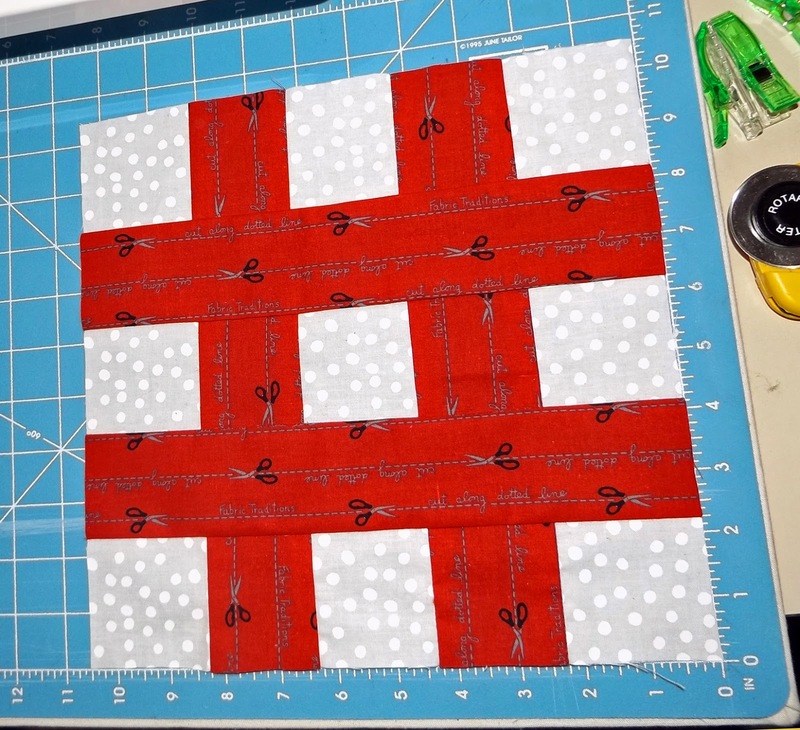 The strips of fabric for these is about 72 inches by about 30 inches wide. The fabric is a knit, slightly on the sheer side. Still have fabric cut to size to make up a 4th one yet... The fabric width is doubled, reducing its width to around 14 or so inches wide by the 72 inches long. This one is a wee bit smaller. Like about 60 inches long. I cut it this way because of the fabric design. It is stripped. The stripes are all white, alternating between being sheer and silky, with a dark green floral print on all. Again, I cut it about 30 inches wide, which is also folded over, and making the fabric scarf doubled, same as the other one. Watched a tutorial on Utube.com to learn how to make these scarves up a couple of months ago. I changed the neckline. Added some narrow elastic to it, to give it the peasant style look, you might say, to tighten the neckline up somewhat. Also changed the neckline on this one. Ran a black shoelace through the casing I made up for same, a wee bit larger than the casing on the shift, and tied it at center front... Tightened the neckline up by doing this to it, too... I used matching fabric binding rather than store bought binding on the necklines that the pattern called for. Made up two throw pillow covers for a neighbor. She supplied the fabric. I supplied the zippers for same. Have made up other similar ones for her in the past. Working from my fabric stash, made up a dozen reversible adult/senior citizens bibs, with pockets going across the bottom of them, that I call Crumb Catchers. These are popular with the local senior citizens. I wear mine when eating meals in the living room, while watching TV. Didn't stop to take photos of these. Been making them up for close to 25 years or so. Started making them up for my father when he was ill and I was taking care of him... There are some other photos of them on my blog. Am also a member of another Facebook sewing group, a challenge, the 2015 Work Your Stash Challenge, which is self explanatory. Plus on Yahoo, the 25 Weeks Of Christmas, which is making up items for Christmas and other holidays. Preparation starts in January, with getting down to the nitty gritty around June... This year, we're attempting to work our stash. This group involves other hobbies, knitting, crocheting, paper crafts, and other crafts, not strictly all sewing when making items. We occasionally have swaps there, too... Am also a member of other sewing related and photo groups on the Internet too... Plus on Flickr. 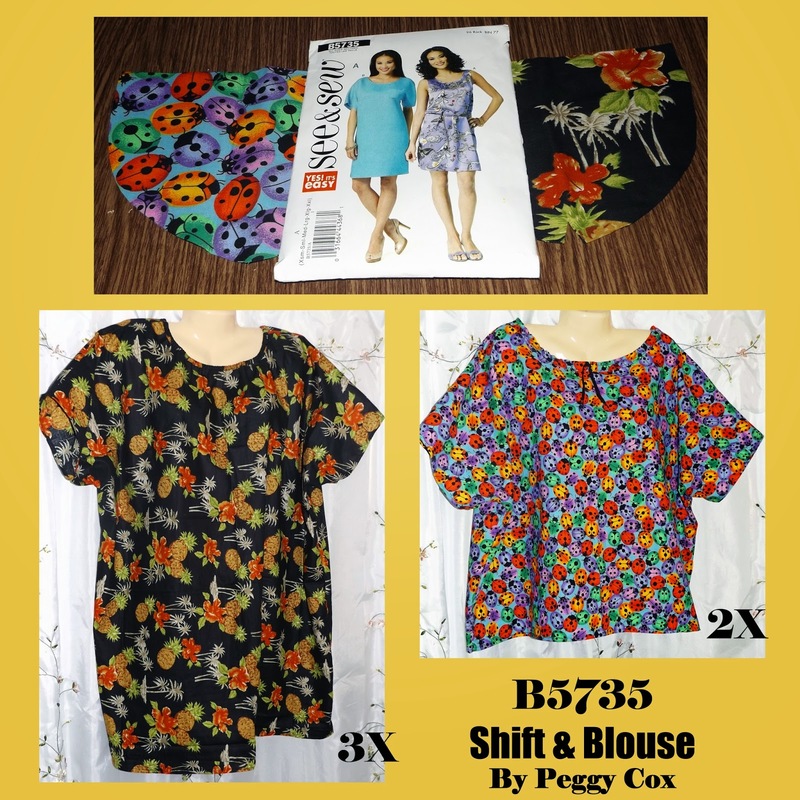 Note: On The Sewing Swap, the also have fabric swaps. My "Pat Sloan's Grandma's Kitchen Challenge" Quilt Blocks #'s 1 to 13(Half-way done) Working on 25 free quilt blocks from Pat Sloan on Facebook in her "Grandma's Kitchen Challenge." Adding them as I complete them. 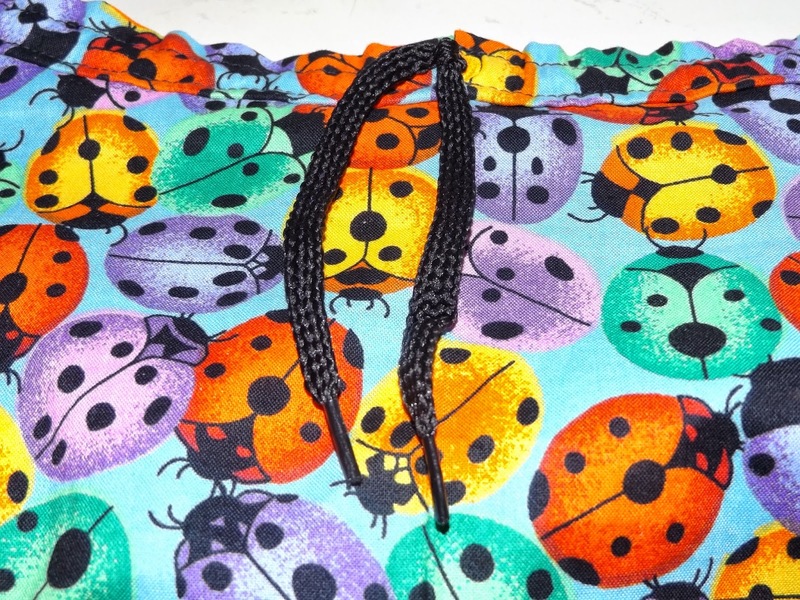 Expect to be using some ladybugs and polka dot fabrics on most of them.